Universal braking module designed to be a constant, reliable protection of dc voltage power supplies against high return energy from the motor during braking or deceleration. The power generated by a servo motor during deceleration and braking returns to the drive and supply line. Many bridge rectifier, switching or similar supply systems cannot accept this return energy. 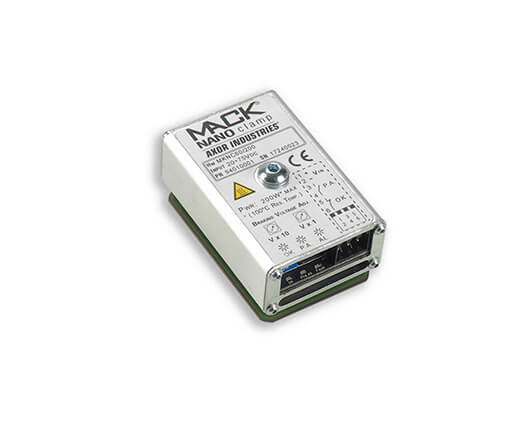 Mack Nano Clamp is designed to absorbe this return energy, thereby protecting the system upline.